Watching fireflies is an enchanting experience, there is nothing like cruising on a boat along the river in the night to capture the beauty of this natural wonder. The best time to watch is 1-4 hours after sunset. A nervous excitement fills most people as they step into the boats, as the darkness is quite thick at first. In a matter of moments your eyes adjust and the fairy like lights of the fireflies line the shore. The fireflies inhibit the branches of a certain tree, the "berembang" which line the riverbank. Along the Firefly Park Resort Kampung Bukit Belimbing in Kuala Selangor you will never cease to be amazed as one of the fast gaining worldwide popularity site of one of the world�s most promoted fireflies (a tiny wasp-like insects) colonies. These fireflies inhibit around the branches of the berembang trees that grows along the riverbank. Every night there is a stream of electric driven motor boats that ferry sight-seeing tourists up along the Selangor River silently to listen to the spectacular symphonic harmony of these fireflies while viewing their luminous flashes of light that is truly a magnificent sight to the eyes of the beholder. and what about the rate? at Tel : 03-3289 7070 or fax : 03-3289 7080. Watching fireflies in Kuala Selangor has boomed into a mini industry. The Firefly Park Resort Kampung Bukit Belimbing is here to provide tourists with the convenience of a comfortable abodes by erecting chalets along the riverbank which take great pains as to not upset the ecological balance of this nature�s park. Built on stilts above clear riverine water that have abundance of different variety of fishes, the chalets also come with modern amenities Parents don�t worry the children�s playground, creatively designed; in bright colours have all the necessary safety standards. If an early morning jog is on the agenda a well-paved jogging track equipped with recreational facilities is easily accessible joggers can take in the beautiful landscape and fresh air without the sounds of traffic. Fireflies are also called Lightning Bugs. Named as they are nocturnal luminous insects of the beetle family Lampyridae, consisting of about 1,900 species that inhabit tropical and temperate regions. The common glowworm is a member of this family. Fireflies are soft bodied beetles which sizes range from 5 to 25 millimetres in length. On the underside of the abdomen it have special light organs that glows in luminous flashes. 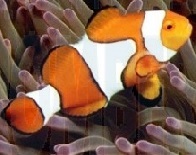 The flattened, dark brown or black body is often marked with yellow or orange. 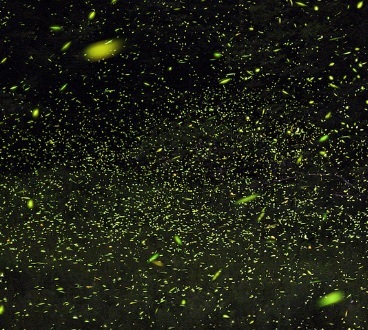 Most of the fireflies feed on pollen and nector but for adult fireflies they do not eat. What bring the sexes together? The female fireflies will produce a short rhythmic flashes that attracts the males fireflies. The females will sit on the ground in the high grass to flash to certain male only. The female chooses the males based on their flash pattern. However, others feel that the flashing is not to attract the opposites but as a mechanism of warning to advise predators of the fireflies bitter taste. Unfortunately, some frogs like to eat them. How is the firefly light produced? They are produced under a nervous control within special cells which are richly supplied with air tubes. Only the light from the visible spectrum is emitted. Fireflies do not bite, do not have pincers, do not carry disease and in fact are quite harmless. They cannot even fly fast. They have a life span of two months. The roads to Kuala Selangor are not of the PLUS highway kind, they are in good condition for the most part it isn�t however dual carriage way. This means the drive can be intimidating for those traveling on rural roads in Malaysia for the first time. For this reason it�s better to travel in the day light hours. So travel up on the Saturday afternoon check in, later that night enjoy the fireflies the next morning take a Sunday drive home. From Kuala Lumpur via Sungai Buloh (Route 54) or through the North-South PLUS Highway, exit at the Sungai Buloh signboard and follow the signs to Kuala Selangor. If driving does not sound good then are buses direct from the Pudu Raya Bus Station or from the Klang Bus Station close to Central Market (Pasar Seni).